Musicians take to the pubs, bars, parks, squares and metro stations to celebrate Fete de la Musique, or Music Day on June 21st. Classical fans gather at the courtyard of the Palais Royal, while rock lovers enjoy the heady atmosphere at Place de la Republique and Indie kids head for place Denfert-Rochereau. Solidays Festival from June 27th to 29th is a weekend of music with a mission, and it's just 30 minutes from the Vice Versa Hotel on public transport. Top musicians take to the stage free of charge to support the continuing fight against AIDS. Festival Days Off at Cite de la Musique from 1st to 10th July is something that you won't want to miss. Some of the leading names in pop and rock music are featured in unique presentations, and new wave icon and French cult hero Etienne Daho is this year's guest of honour. 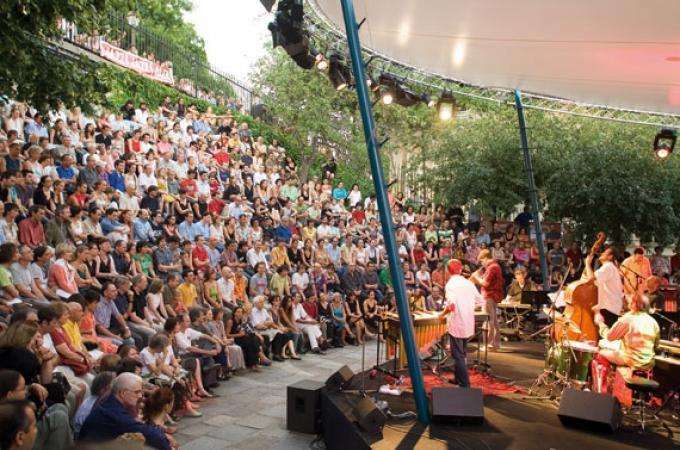 See the best of world music in exceptional outdoor settings or exciting venues all over the city !